Burlap smells funny, is super messy, and impossible to sew. But it gives anything perfect texture. 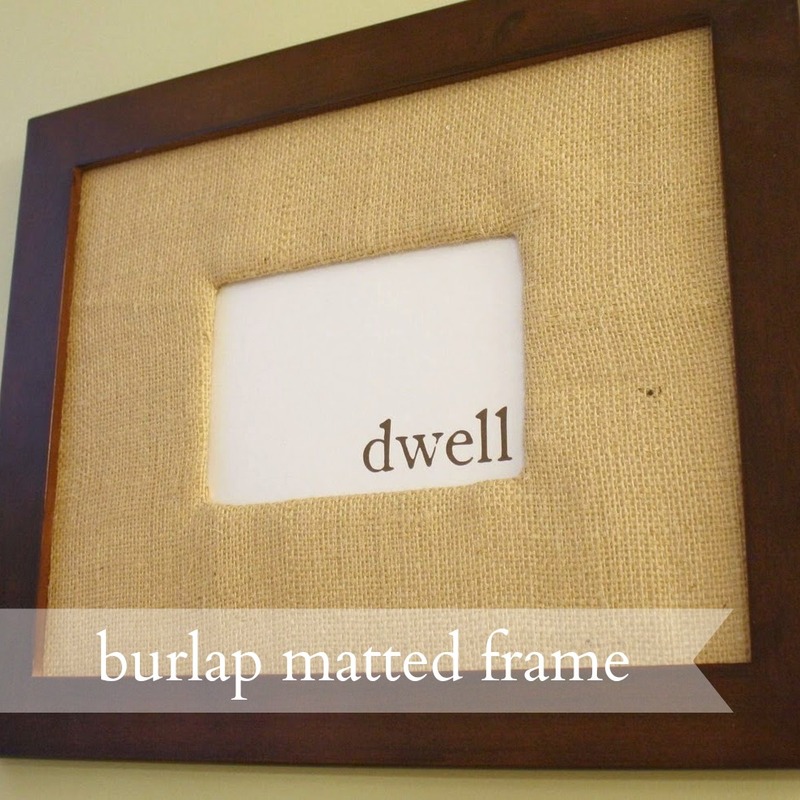 No wonder burlap is so in right now! Have you seen these frames at Pottery Barn? I love them. 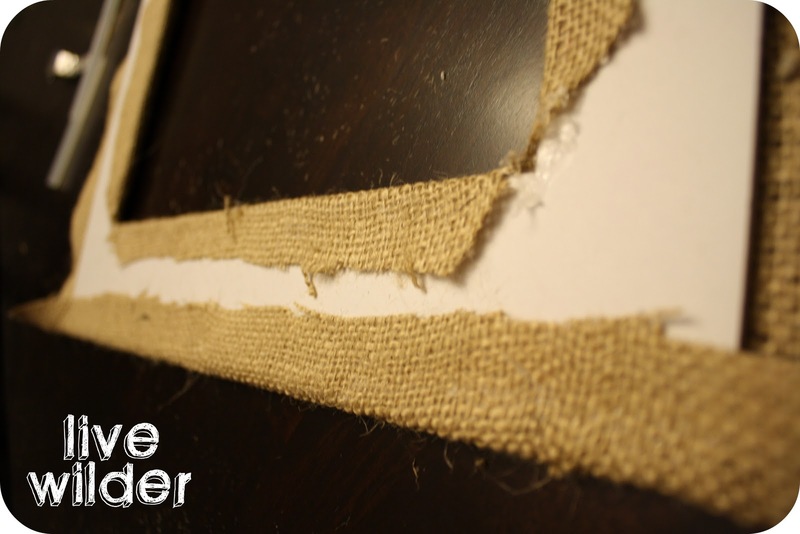 With the right materials and ten minutes, I can just make my own! 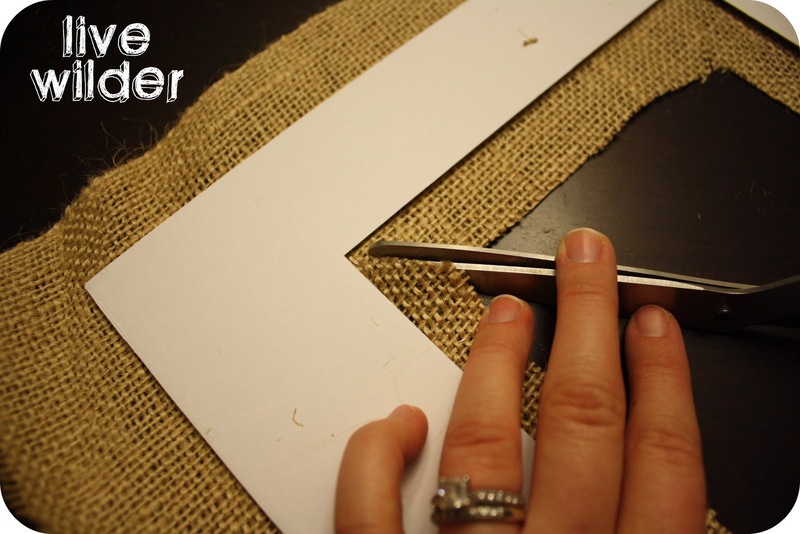 Cut out a piece of burlap a couple inches larger than your matte. 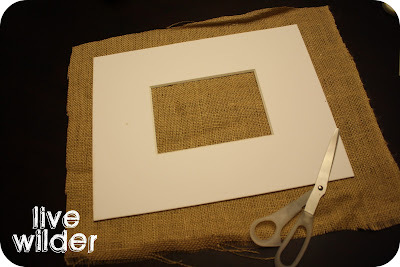 Pinch the burlap in the center and cut a hole. Continue to cut out the inside of the frame. 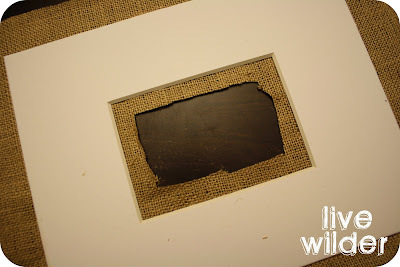 Make sure to leave at least an inch around the edges. Carefully cut from the inside corners of the burlap to the inside corners of the frame. 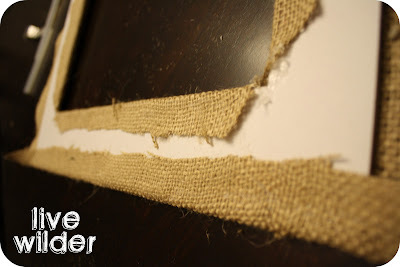 Put a strip of hot glue along the inside edge of the matte. 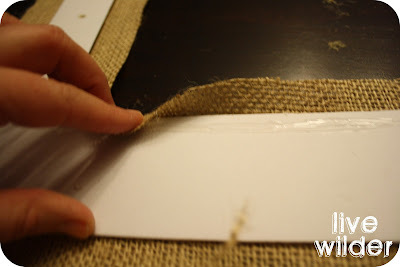 Then fold the inside edge of burlap onto the matte board. 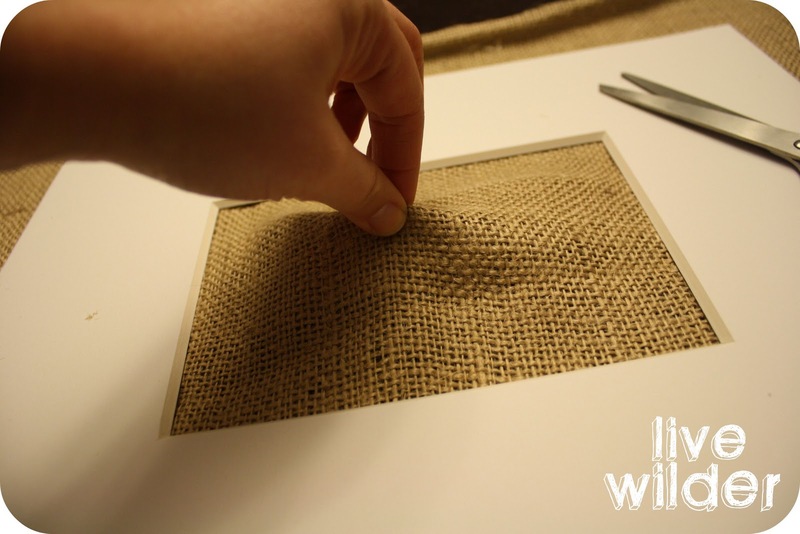 Do this on all four inside sides. Now do the same around the outside edge. Put a strip of hot glue and fold the edge over the matte board. 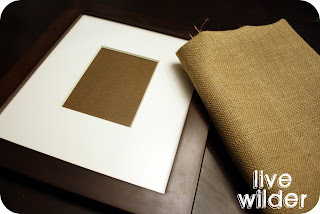 For the corners, fold the burlap like you're wrapping a present and then glue down. 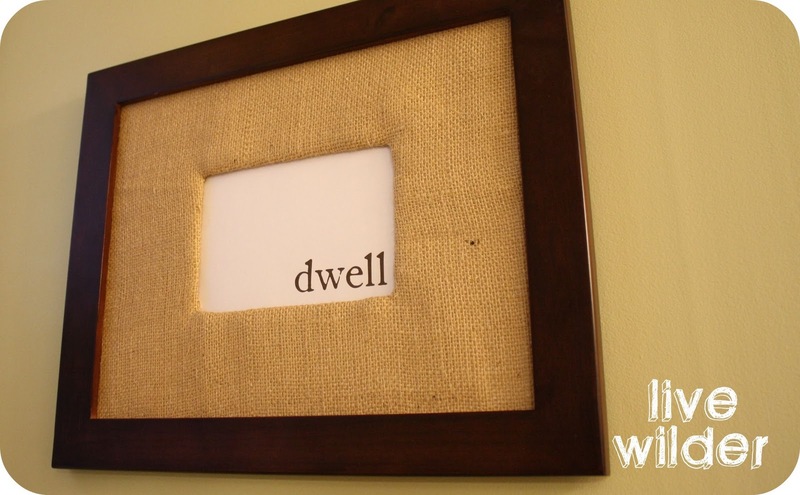 But flip it over and frame! I made several of these for one of my bathrooms. The frame doesn't even need glass! These seriously take ten minutes each! How much better can it get! Thanks for this post. I also really liked these Pottery Barn frames and was wondering if there was a way to DIY. 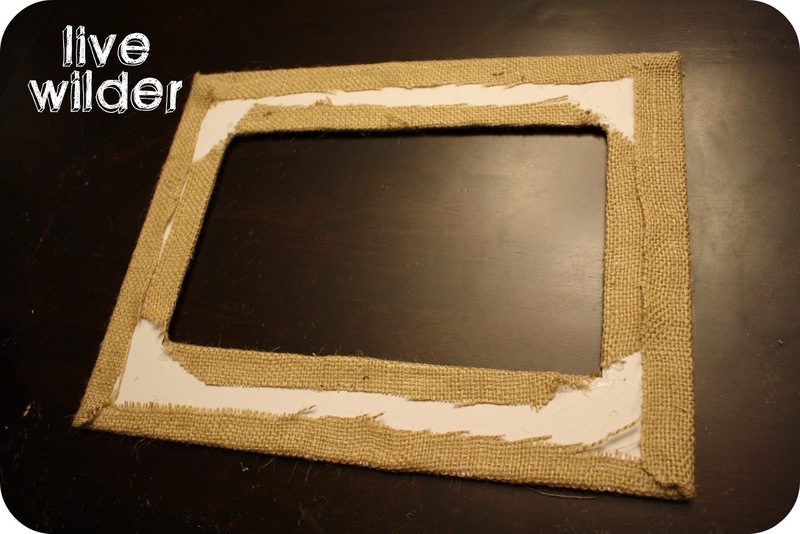 For me the issue was the size more so than the price -- a very large frame and mat, holding only a very small photo. 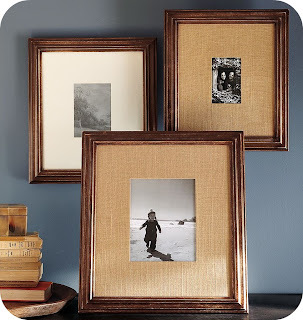 I find though, that Pottery Barn has gorgeous frames, the likes of which I can't find elsewhere. The wood in this frame is gorgeous. To me a Michael's/AC Moore/Joann's frame always looks like a Michael's/AC Moore/Joann's frame. It just doesn't compare, and I always leave the store empty-handed. 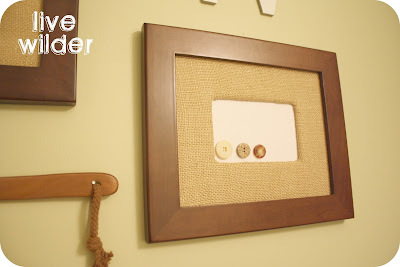 If I could find a really attractive, Pottery Barn style frame elsewhere at a reasonable price, I would totally try this project. 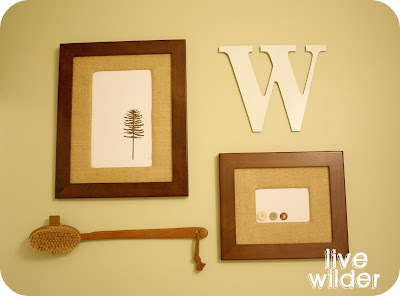 I have a wall that I would love to cover with these frames.